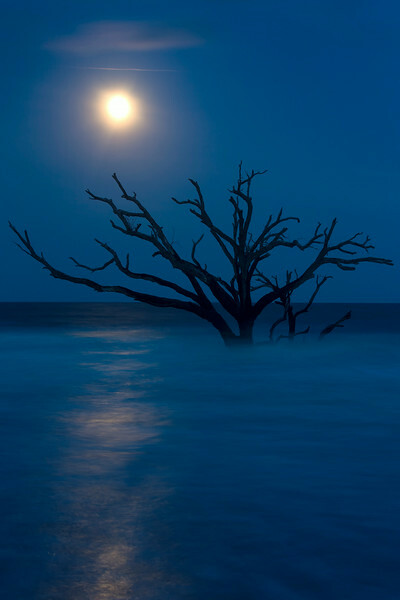 The full moon comes up over the old oak tree lying in the ocean at Botany Bay, Edisto, South Carolina. 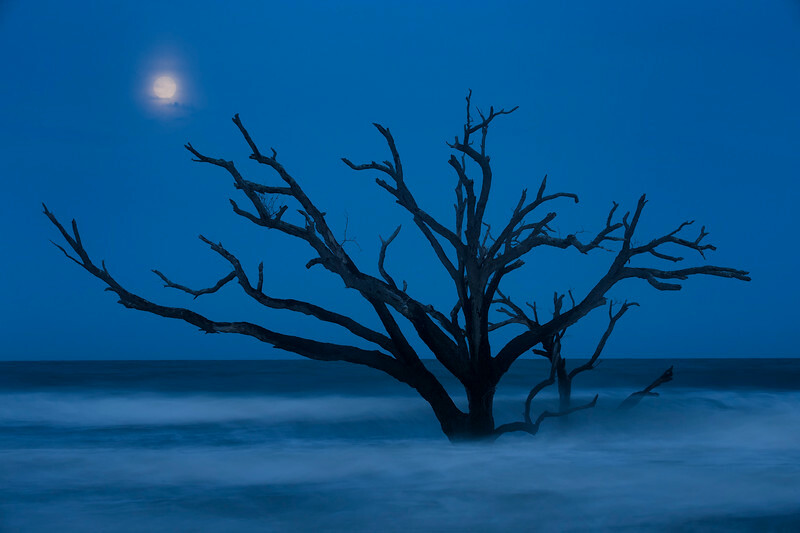 A full moon comes up over the old oak trees in the water at Botany Bay, South Carolina. 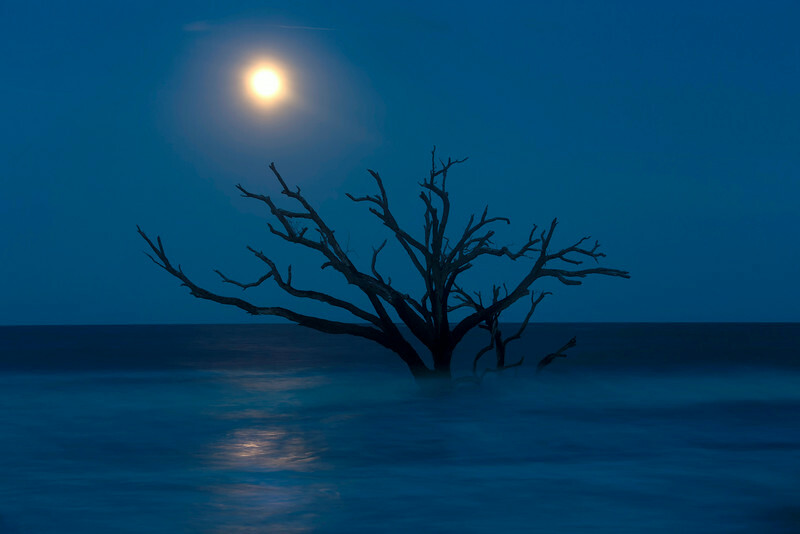 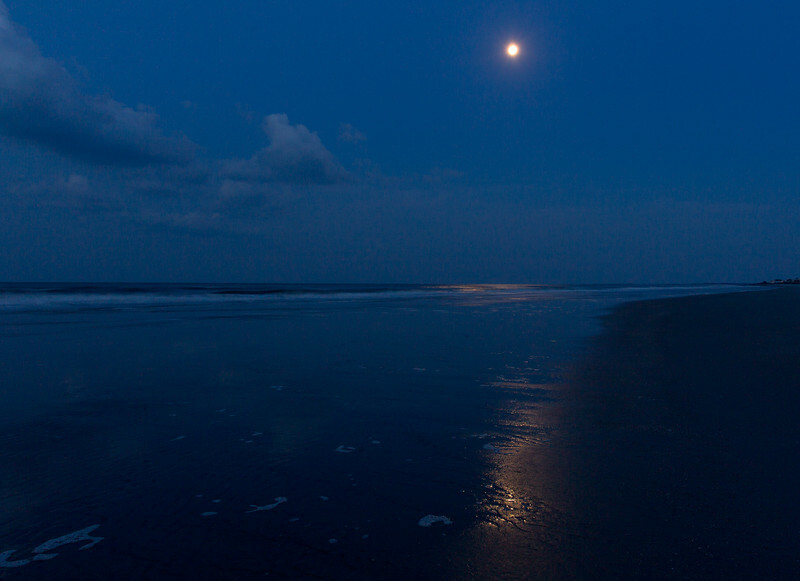 A full moon shines at Botany Bay, South Carolina. 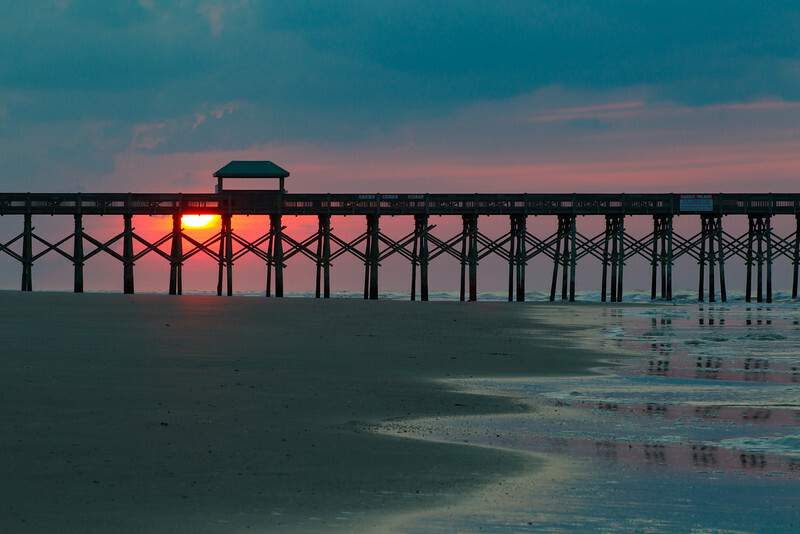 A stormy morning sunrise at Flly Beach, South Carolina.